Research summit attendees explore the poster session. Department research efforts shined last week at the annual Research Summit. 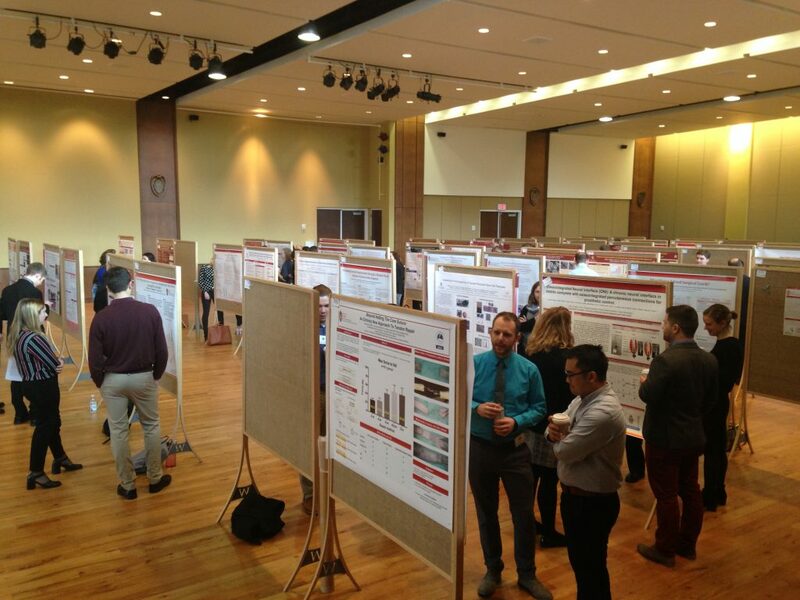 The tenth annual event brought together over 300 research-minded colleagues to share ideas and encourage collaborations. Guest speaker Debra Houry, MD, Director of the National Center for Injury Prevention and Control at the Centers for Disease Control and Prevention, presented information on the CDC’s efforts to decrease and prevent opioid overdoses and opioid related harms. Our second guest speaker, Fred Lee Jr, MD, MPH, is Professor of Radiology and Biomedical Engineering at the University of Wisconsin, and The Robert A. Turrel Professor of Imaging Science. In his inspiring talk, titled “Bench to Bedside in Action: A UW Story,” Dr. Lee recounted the process of bringing a novel idea for a medical device into being, from the drawing board to the clinic. Thank you to everyone who supported the summit, and special thank you to the committee that made this event possible: Committee leads Angela Ingraham, MD, MS, and Robert Redfield, MD, and committee members Katie Dorst, Nicole Jennings, MA, Mary Marshall, Sarah Pavao, Lisa Werning, and Karen Williams.